A beautifully presented two double bedroom first floor flat (with lift), situated in the heart of Epsom, opposite the station. The property features a bright living room with patio doors leading to a communal terrace with own private decking area with table and chairs. 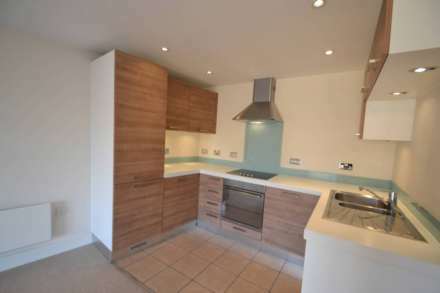 Modern fitted kitchen with washing machine, fridge/freezer, oven/hob and dishwasher. Two double bedrooms (with double beds) and modern bathroom/WC with shower attachment. Fully furnished and available 6th April 2019.